A Professional Master in Image, Business Woman, Image Consultant Trainer, International Beauty Pageant Judge and Coach, Motivational Speaker, Mrs United Nations Mrs Style Award Winner 2007, Mrs Modern Woman, second runner up, 2008. Ronél Jacobs was the President of the Association for Professional Image Consultants South Africa (APICSA). She was one of the Founder Board Members of APICSA with the founder and honoree President, Anne Dreyer, Doris Msibi from SA Image Institute also a Founder Board Member and Vice-President of APICSA. As a qualified trainer, image coach and corporate image trainer, she empowers and inspires women, their families, businesses and corporations to achieve increased professionalism and success through image. Her expertise in training and coaching has motivated individuals, both professional and new image consultants to be more effective and successful in the way they dress, act and project to the outside world, giving them confidence and to create more satisfaction in their lives and businesses. She has trained professional consultants such as Samantha Butler from Glam Guru and has done Fashion Forecasts for APICSA and now for Colourworks International. With her masters in image, which she obtained in Singapore, Ronel also had the opportunity to be a guest External Examiner in Singapore for their image certification. Ronél has accolades in the beauty world, being a finalist and second runner up in the Mrs. Modern Woman 2008 pageant. She was a finalist and Mrs. 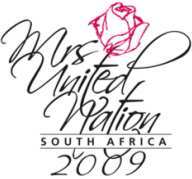 Style award winner at the Mrs. United Nations SA 2007 pageant. In 2008 she judged at the Mrs. United Nations 2008, style- and modeling and grace awards. She also judged at the Singapore Fair Lady 2008 pageant. Being a community builder, she is not shy to make use of her internationally obtained knowledge in both Future Health and Image Consulting, to make a difference. In 2008 the Ekurhuleni Business Initiative appoints her as their Executive Social Development Manager. With her background in the business arena, Ronel has a personal passion to assist businesses in raising the bottom line, by focusing on the image at work. She addresses important areas such as etiquette, people skills and first impression, all vital to the people assets of any company.